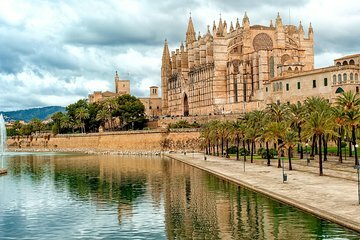 Discover one of Palma de Mallorca’s most historic buildings—Palma Cathedral. Take the stress out of waiting in long lines, by having your entrance ticket already organized. You’ll save time, and get immediate access to this beautiful Cathedral on a clifftop. See incredible views of the Cathedral reflected on the water below, and access to Diocesan Museum is also included. Dress Code: Comfortable clothes. Shoulders and knees should be covered.